Yes indeed! Once I discovered this genre existed, I went on a bit of a reading binge. As some of you may recall from a post or two a while back, the why of knitting is a big interest of mine. 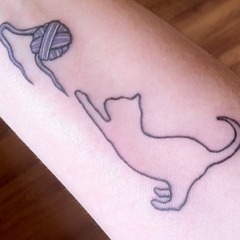 By the “why” of knitting, I mean what is is that compells so many of us to habitually reach for our needles. The stories are short reads, but very cute and inspiring. It was neat to get a glimpse into the lives and development of some big names in knitting design – I especially love the family photos. Most of the patterns are nothing out of the ordinary, but all are something I would make, and a few are even quite innovative. The unique concept behind this book drew me in. While I was not as blown away by any profound revelations as I have been with similar works, there are moments that made me ponder and I think it’s worth a read. I found I actually quite enjoyed reading about the authors’ stories and experiences of discovering knitting’s importance in their spiritual lives. I found that the philosophical discussions, guided meditations and the like were a little overkill for my tastes. The patterns are nothing to write home about and are perhaps a little dated. When it comes to inspirational or spiritual books I prefer those authors who illustrate their points by story and example rather than just waxing philosophic or religious ad nauseum. Hence, I thoroughly enjoyed and would recommend Bernadette Murphy’s book to any knitter (or any crafter, for that matter) who enjoys a good story and is interested in delving into the ‘deeper’ reasons behind their yarn obsession. The Yarn Harlot? Yes, I know I recently mentioned the Yarn Harlot’s latest endeavour and my thoughts on it here, but I had to include it in this list. And yes, it arguably doesn’t fit into the topic of “self help books,” but this is MY blog, so whatever. Really, it’s a comedy: a quick, light read that made my commutes fly by. At moments I actually had to laugh out loud, which probably made other subway passengers move clear of me… Yet what kept me reading were the little nuggets of wisdom and revelations about life and knitting’s place in it. I found this to be similar to The Knitting Way but more succinct, weighing in at only 136 pages. Tara Jon Manning explores how knitting can help one practice the buddhist meditative approach known as mindfulness. This makes perfect sense, considering the quiet, contemplative nature of the activity. This books sheds light on why so many knitters describe knitting as a soothing, comforting pastime. More discussion on how a state of mindfulness relates to creativity would be interesting. This entry was tagged books, inspiration, mindfulness, reviews, spirituality. Bookmark the permalink.